When talking about the sadistic orderlies at the Orphanage, Wade refers to one of them as "Jared Kushner", the son in-law of President Trump, who is an avid watcher of the Fox News Channel. Wade reacts a few seconds before Colossus grabs him by his neck. 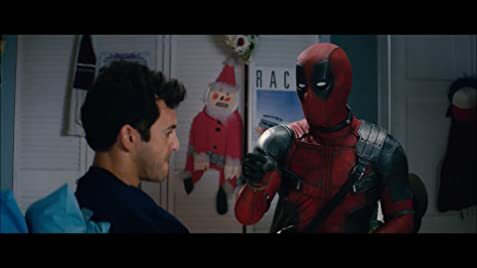 There are scenes in the closing credits of Deadpool travelling in time and changing several points in the history of X-Men films and one point of real life history.